Accidents happen every day. If you have been injured in an accident caused by the recklessness or negligence of someone else, you may be able to recover your damages, and the experienced personal injury attorneys at Aitken * Aitken * Cohn may be able to help. Contact Aitken * Aitken * Cohn in Santa Ana today at (714) 434-1424 or online to schedule a free consultation and learn more. 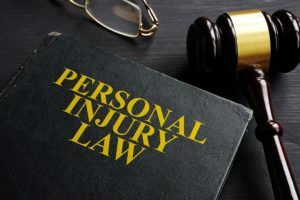 What Is a Personal Injury Suit? When someone is injured due to the negligence or reckless actions of a person, business, or governmental entity, often a claim for compensation is filed with the at-fault party’s insurance company. However, insurance companies may try and avoid paying the needed amount to fully cover the victim’s injuries. If an acceptable settlement is not reached with the insurance company, then the injured person may file a civil personal injury lawsuit in order to obtain that compensation. Under California law, injured parties may be able to claim economic damages, such as medical expenses and property loss, and non-economic damages, such as pain and suffering and loss of consortium. Personal injury claims must meet certain requirements, and to pursue those claims with an insurance company or through the court may consume a lot of time. In some cases, where a defendant’s conduct was especially egregious, the plaintiff may also seek punitive damages. Punitive damages are designed to punish the defendant and deter others from similar behavior. Although rarely awarded, punitive damages may be applicable when a defendant’s actions were oppressive, fraudulent, or malicious. The statute of limitations, or time limit, to file a personal injury claim is two years from the date of the injury. However, there are some limited exceptions, including when an injury is not immediately discovered. In those situations, the injured party has one year from the date of discovery of the injury to file a claim. Another exception is when the at-fault party is a governmental entity. In those cases, claimants have just six months to file a personal injury claim and must follow a strict set of procedures in order to do so. California has a pure comparative negligence rule, which impacts personal injury cases where the claimant was partially at fault for the accident that caused their injuries. This rule means the percentage of blame that the injured party has will be deducted from any damages they receive. For example, if the plaintiff was 10 percent responsible for the accident and awarded $20,000 for damages, they will only receive $18,000. California law recognizes “strict liability” in personal injury cases involving animal attacks or defective products. Therefore, in cases where a dog bite injures a party, that dog’s owners are strictly liable for the injuries caused by their dog. It does not matter if the attack occurred on public or private property, or the animal had or did not have a history of aggression. Strict liability applies when products have manufacturing defects, design defects, and inadequate warning labels (also known as warning defects). Thus, when someone is injured by a defective product, the designer, manufacturer, distributor, and retailer of the product may be strictly liable for the injuries, even if they have not been negligent. California prevents uninsured drivers from obtaining awards for non-economic damages such as pain and suffering, even if another party was at fault in the accident. The exception to this rule applies to uninsured drivers who are injured in an accident that was caused by someone who was operating a motor vehicle while under the influence of alcohol or drugs. Serious and permanent personal injuries including traumatic brain injuries, spinal cord injuries, birth injuries, and near drowning injuries that result in a lifetime of care. Nursing home abuse, including physical or emotional abuse, sexual abuse, and neglect. Aitken * Aitken * Cohn also represents clients in bad faith insurance claims. Insurance bad faith occurs when an insurance company improperly denies the insured individual, family, or company all of the benefits provided for in their policy, offers less compensation than what is due in accordance to the policy, or unreasonably delays payment to an insured. According to a February 2019 article from Vox, a 19-year-old man was injured in July 2016, when a pole hanging off of a city bus in San Francisco struck him in the face as he was walking down the sidewalk. The force of the blow knocked the man unconscious, and he subsequently woke up in a hospital that is also owned by the city. After about four hours at the hospital and six stitches, the man was sent home. He returned to a different hospital’s emergency room the following day having had continued pain and vomiting. He was later forced to quit his job and his position on his college football team due to his injury. In spite of having insurance, he later received a bill for more than $27,000 from the hospital. The man sued the city for both the accident and the bill, and in October 2018, received a jury verdict awarding him $266,740 in damages. His case and other cases of inappropriate billing practices by the hospital led the San Francisco mayor to announce that the hospital was temporarily suspending its billing practices and focusing on new, more patient-friendly policies. In October 2018, U.S. News & World Report reported Southern California (SoCal) Gas Co. agreed to pay $46 million to settle a lawsuit brought by a motorcyclist whom a company driver struck and seriously injured. The driver had reportedly suffered an epileptic seizure at the time of the February 2017 accident. The motorcyclist, who is also an Air Force Captain, was stopped at a red light in Hawthorne. The SoCal Gas pickup truck struck him from behind, wedging both the motorcycle and its rider beneath the truck and dragging him for more than 430 feet. The driver did not stop until other drivers on the roadway surrounded him as he headed toward the freeway on-ramp. The victim, who was 30 years old at the time and recently married, lost 40 percent of his blood in the accident, nearly lost his right leg, underwent multiple surgeries, and faces many more surgeries in the future. His leg may still require amputation. The driver pleaded guilty to hit-and-run. Although he was on medication at the time of the crash, his seizures could happen without warning and at any time. He had been told by his doctors not to drive, and had been suspended from his job for a time in 2012 before returning and continuing to suffer from seizures. SoCal Gas knew about his condition, the article noted, but continued to let him drive as part of his job. A Los Angeles jury ordered an award of nearly $42 million and was considering punitive damages against the company before the settlement was agreed upon. According to a February 2019 article from OC Weekly, a doctor who lost a $2 million lawsuit in 2015 over the death of a 29-year-old woman during childbirth was finally disciplined by the state medical board. The doctor’s license to practice medicine was placed on probation for 35 months, which is less than the minimum punishment of five years probation for cases of gross negligence. The state medical board opted to reduce the term of the doctor’s probation due to his long record of practicing medicine with no prior incident or discipline. The state medical board noted that the doctor was well-regarded in the medical community. The woman died at the Garden Grove Medical Center from complications of a postpartum hemorrhage four days after giving birth to her second son. Wrongful death and medical malpractice claims were filed on behalf of the woman’s husband and two sons, and alleged that the doctor left the woman’s bedside at the ICU too soon, without first checking her vital signs. A jury awarded the victim’s estate $2 million from the doctor, and the hospital provided a settlement of an additional $3.2 million. The conditions of the doctor’s probation include being prohibited from supervising physician assistants, having a board designee monitor his practice, completion of education and medical record keeping courses, and notification of his probation status to hospitals and other facilities where he has privileges. In April 2018, People Magazine reported that a California man filed a lawsuit against Uber after losing both his legs in an accident while he was a rideshare passenger. The accident occurred in March 2018, when the Uber car that the man was riding in ran out of gas on a freeway in Orange County. The man got out to help his driver push the car to the shoulder of the road and another vehicle struck him. In addition to Uber, the lawsuit also named the Uber driver, the driver of the other vehicle, and Uber’s insurance carrier. According to the lawsuit, the Uber driver put the man “in the position to be hit by a car.” Uber announced safety improvements shortly before the lawsuit was filed, including new in-app features, stronger background screenings, and the expansion of its safety advisory board. Whether you need help negotiating a settlement with an insurance company, or you need legal representation for a personal injury lawsuit, talk to the personal injury attorneys at Aitken * Aitken * Cohn as soon as possible. Our firm has a national reputation for our trial skills and the committed advocacy we are pleased to provide to our clients. We also accept cases on a contingency basis, which means the costs of litigation and attorney’s fees are deducted from any eventual settlement or verdict rather than an upfront retainer from the client. Contact Aitken * Aitken * Cohn in Santa Ana today at (714) 434-1424 or online to schedule a free consultation and learn if we may be able to help you.